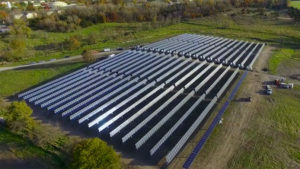 A small southeast Iowa college now boasts the largest solar & storage power plant in Iowa, which is also billed as being the most technologically advanced facility of its kind in the world. 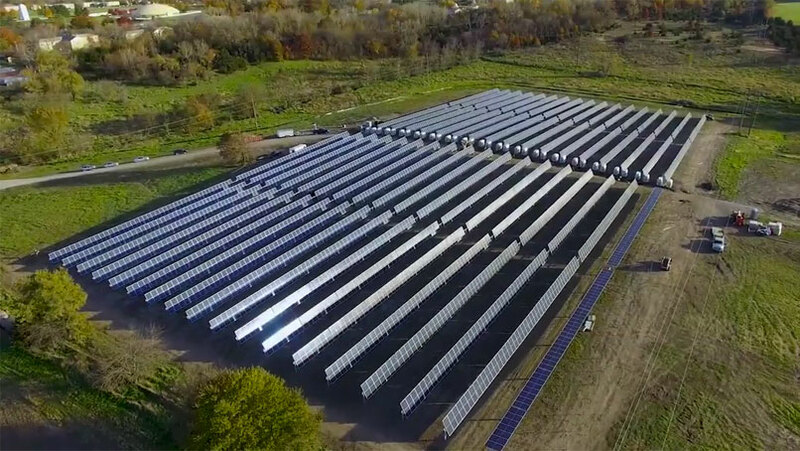 John Hagelin, president of Maharishi University of Management in Fairfield, says the five-acre, 1.1 megawatt array is run by an “artificial intelligence learning computer” and it’s like none other — anywhere. Should the area flood, he says the panels will automatically rise to stay high and dry. The solar array, called the MEG’Array, is being switched on in a ceremony this afternoon and will provide about one-third of the university’s energy. Any power that’s not used can be stored in a bank of vanadium batteries, which Hagelin says can run for decades with no degradation. The array includes 3,150 panels in 35 rows, each with its own motor controlled by “smart” software. It will “remember” the best angles for maximum energy production throughout the seasons. Enabling the panels to tilt and track the sun as it moves across the sky should gather about 25% more light than a fixed array. Hagelin says this system going online moves the school a giant step closer to its goal of being a carbon-neutral campus. “It’s about a $2.5-million investment at this point,” Hagelin says. “We’ve had a lot of help from our trustees and donors of the university. The payoff on that investment with the appropriate tax incentives and so forth will probably allow us to pay off the device in about six years.” If all goes well, the university hopes to continue building onto the array and double its size within a few years. The MEG’Array was designed and constructed by Ideal Energy, which is based in Fairfield and was founded by MUM alumni.